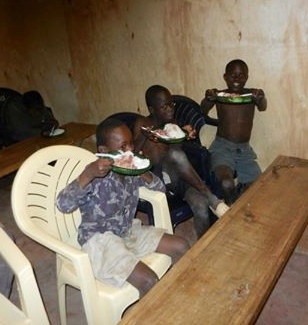 Here in Nairobi, Kenya we’ve been blessed with the opportunity to feed hungry street kids and adults and even help many of them come off of the streets and make progress in school and church and in their families and communities. Now that we have many in settled and pushing along in school we’d like to get out and help more of the ones who are still on the street and in need of a helping hand with food, medical care, haircuts, shoes and counseling. If you would like to help us help these people feel free to use the donate button on the site to contribute to this project. Thank you very much. May you have a very blessed year this 2016.